Never Lake is a body of water found in the Kingdom of Mercia that Little Planet appears over once a year for a month. Silver the Hedgehog first appeared here to Rob O' the Hedge and his family, inquiring as to the whereabouts of Sonic the Hedgehog. 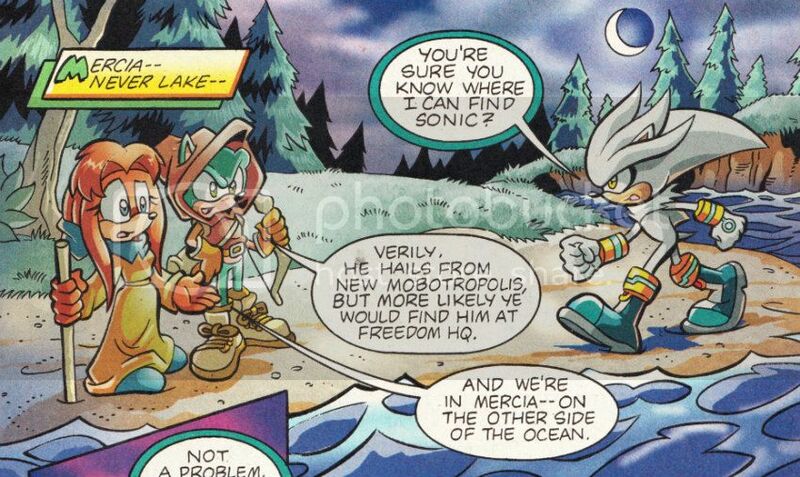 The two then departed from Never Lake for Freedom HQ and then Moebius, where they joined in a battle between Sonic, Amy Rose, Scourge the Hedgehog, Rosy the Rascal, Shadow the Hedgehog and Metal Sonic.